New Delhi: A key hurdle in the way of the proposed Bharti-MTN transaction appears to have been removed with South African government sources telling CNBC-TV18 they understand that dual listing is not an option in the Indian context. A delegation of South African national treasury officials, led by Ismail Momoniat, head, tax policy and financial sector policy division, Nkosana Mashiya, chief director of financial sector policy, Unathi Kamlana, a director from the same unit, and an official from the South African Reserve Bank have met with their Indian counterparts here over the past two days. “South Africa understands India’s capital flow concerns. It is now really up to the companies to structure the deal in a manner that ensures that MTN’s identity does not get diluted now or later. There is little that our government or the Indian government can do beyond a point," one of the diplomatic sources said. 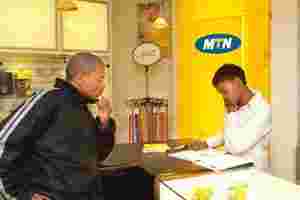 The diplomat added it was imperative to maintain MTN’s identity in South Africa as well as in India. “The South African treasury is positive on the Bharti-MTN deal. It wants it to go through as it is a positive for the growth of MTN and Bharti, as well as South-South cooperation." Sources added that the South African treasury team would present a report to the government upon its return later this week. “The future of the deal is likely to be decided early next week," a person with direct knowledge of the transaction told CNBC-TV18.